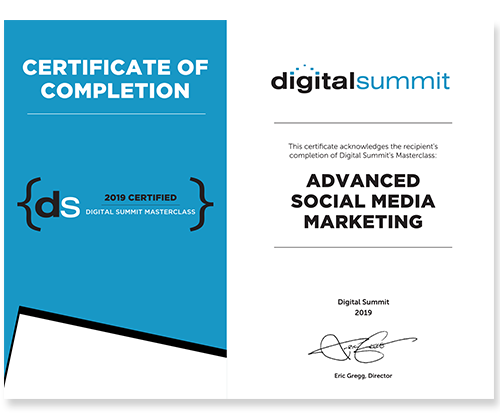 Who should attend a Digital Summit Masterclass? Purposeful Content Distribution: Learn how to work with Content, Search, and PPC to leverage and package content created for various purposes and put them in front of the right audiences at the right time. – We will dig deep into understanding audience/customer/influencer personas and how they are translated into paid audience targeting. – We will also delve into how to use creative elements to package content for the various social channels. Tout your new skills to your boss, colleagues, LinkedIn profile, resume or just to your dog!